South Korea followed the recent Chinese example and banned raising money through ICOs for all currencies. Their Financial Services Commission stated that ICOs need to be banned because cryptocurrency trading needs to be put under tight control. It also said that individuals who break this ban will receive “stern penalties.” As a result of this ban, the price of Bitcoin has gone down 3% and Ethereum 6.5%. Due to their increasing popularity and scale, ICOs were bound to attract the attention of government regulators. In this year alone, initial coin offerings have raised around 2.3 billion dollars in funds, providing a good picture of the level cryptocurrency trading is currently at. China stated that ICOs started to disrupt the country’s financial order, explaining the cause for the complete ban. South Korea probably fears the same thing, so they reached for the same severe measurements. In the months leading up to the ban, South Korea noticed the global and domestic rise of collecting funds through ICOs. This was stated by the Financial Services Commission after their meeting with tax, finance, and national bank officials. They added that ICOs are often used to finance pyramid schemes, which poses a great threat to the investors. This is the part where we should believe the Korean government is only trying to protect its citizens rather than eliminate competition to the national currency. Korean regulators will probably not stop at this ban. They’ll continue monitoring the situation and may exact additional measures to control the overall growth and popularity of cryptocurrencies. 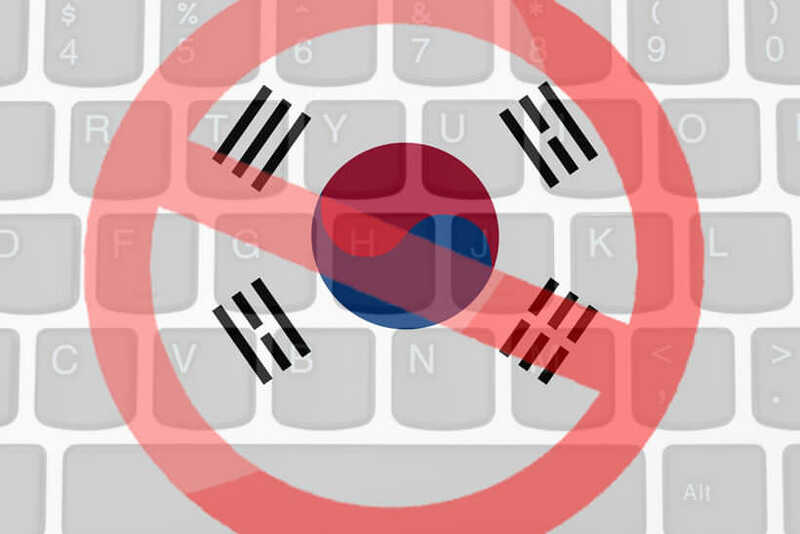 The underlining cause for this ban, in our opinion, lies in the fact that South Korea started becoming the new crypto “epicenter” after recent developments in China. China used to represent around 90% of the global cryptocurrency trading until their ICO ban and the recent directive to limit access to foreign crypto exchanges. Now, their share is barely over 10%, so their legislative efforts definitely worked. From all this, the US, Japan, and Korea emerged as new trading hubs, explaining the swift Korean reaction.